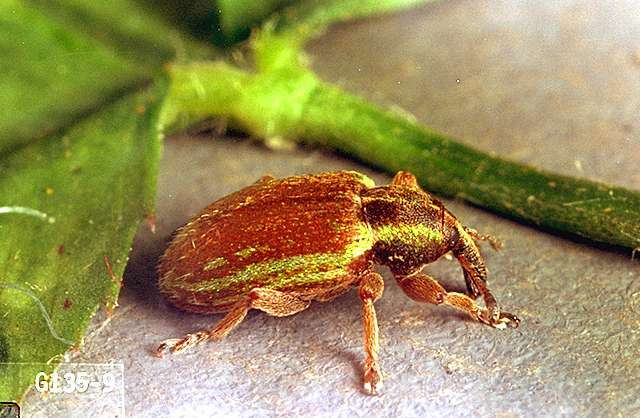 Pest description and crop damage Green or brown weevils about 1 inch long. 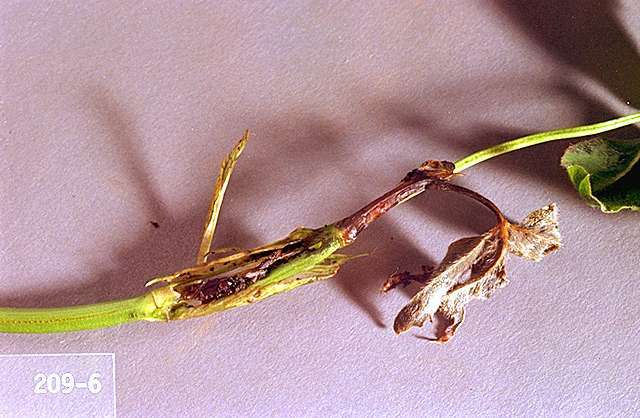 Larvae feed under basal leaf sheath, tunnel in stem, and feed on florets in developing flowers. Mainly a pest of red and alsike clover. bifenthrin (Bifenture EC, Brigade 2EC, Capture 2EC, Discipline 2EC, Fanfare 2EC, Fanfare ES, Tundra EC) at 0.06 to 0.1 lb ai/a. REI 12 hr. Do not apply while bees are present. Do not make more than 3 applications per crop year. Allow at least 21 days between treatments. Do not graze clover after application. Do not cut treated clover for hay or forage. Do not use harvested seed for sprouting. No part of the treated field, including seed, seed screenings, hay, forage, or stubble, may be used for human or animal feed. Processed seed must be labeled. 24c SLN: OR-040039, OR-070013, OR-170012, ID-080011, ID-040009, ID-070009, ID-060023, ID-130004, WA-040027, WA-070015. chlorpyrifos (Lorsban Advanced) at 1.0 lb ai/a. This product is highly toxic to bees. Do not apply when any clover bloom is present. Do not make more than one application per crop year. REI 24 hr. Do not graze clover after application. Do not cut treated clover for hay or forage. Do not use harvested seed for sprouting. No part of the treated field, including seed, seed screenings, hay, forage, or stubble, may be used for human or animal feed. Processed seed must be labeled. 24c SLN: OR-090010. Oregon only. phosmet (Imidan 70-W) at 0.93 lb ai/a. This product is toxic to bees. Do not apply when bees are present. 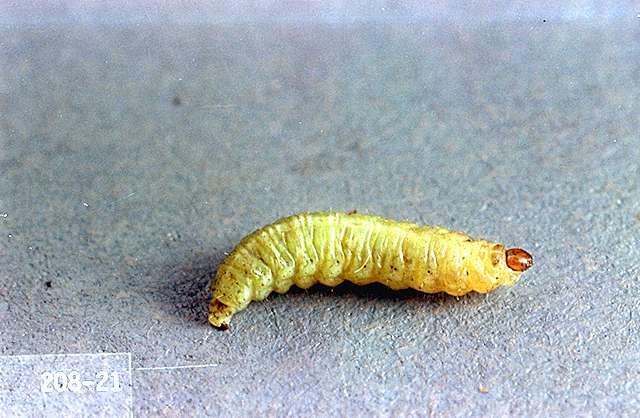 Spray weevil larvae during active feeding. Do not apply more than once per season. Do not graze clover after application. Do not cut treated clover for hay or forage. Processed seed must be labeled. 24c SLN: ID-990024. Idaho only.